Rand McNally is one of the oldest companies in the United States. Founded in 1856, the company provides products and services for consumers, the trucking and commercial transportation market, and educators. 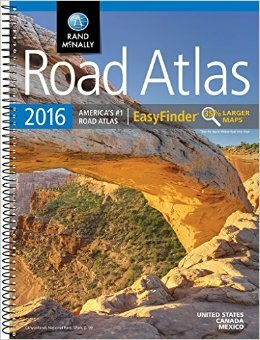 Rand McNally’s products and services include IntelliRoute® truck routing software and GPS devices, a leading geography-based online subscription service for schools, printed maps and atlases including America’s #1 Road Atlas. There’s no question that Rand McNally is a rare company. For over 150 years, generation after generation has helped guided the company through consistent changes. That very statement says something, especially considering all the technological changes we’ve seen in the last decade. 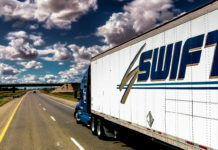 Despite that change, the company provides some of the best software and tools to guide drivers from around the world. In the commercial transportation industry, Rand McNally hit it big with The IntelliRoute® TND™ lineup. 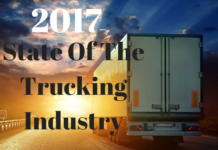 This software was built from scratch and a massive effort that included countless hours of testing from professional truck drivers. The truck-specific navigation, trip planning tools, and logging features of the IntelliRoute TND 510 and 710 are designed to help professional drivers in each phase of their work day, from planning to driving to reporting. IntelliRoute®is award-winning software and has received high praise since its launch. 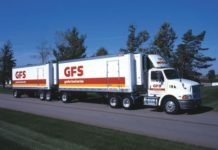 The TND 760 Fleet Edition combines Rand McNally’s award-winning navigation with a robust mobile communication system that integrates with a truck’s on-board computer. TruckPC, an in-vehicle computing system, enables fleets to better manage hours of service (HOS) compliance, navigation and communication, while also facilitating document imaging, driver training and Internet access. Shippers and carriers also rely on IntelliRoute® and MileMaker® software for industry standard HHG and Practical routing, as well as lowest cost and dock-to-dock options. First launched in 2011, Best of the Road® has been a huge success from drivers to RVers. USA Today and Rand McNally teamed up in search to find the best small towns across the United States. The competition was huge among travelers and 5 years later, its popularity continues to grow. During the first held competition, over 600 towns were nominated in five select categories: Most Beautiful, Most Patriotic, Most Fun, Friendliest, and Best for Food. 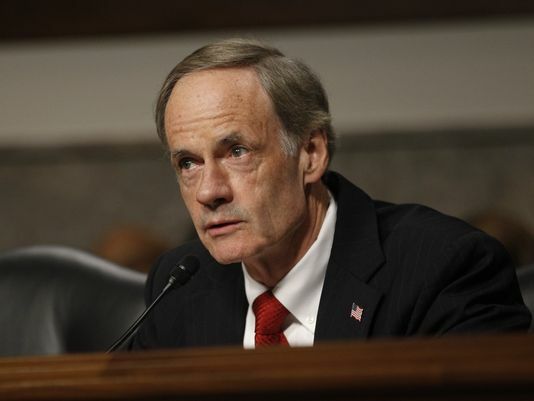 Rand McNally sent five teams of two across the country to determine the winners by exploring six finalist towns in each category. The competition took media by storm, generating 500 million media impressions, it will be continued annually. Travelers continue to write reviews and submit photos of small towns and prominent places from coast to coast for the next road rally. In 2016, it’s still going strong. We love how this brings travelers together. The stories, reviews and pictures are something else. If you want to share your story, you can do so on their website. bestoftheroad.com. Rand McNally is truly one of America’s most historic companies. From their humble beginnings in 1856 to today’s global empire, the company has always had a tendency for great leadership. In 1868, Andrew McNally and William Rand begin their partnership and establish Rand McNally & Company; they take over the Chicago Tribune’s printing shop and agree to print tickets and timetables to serve Chicago’s booming railroads, which are the nation’s premier railroad hub. 1872 – The first-ever Rand McNally map appears in the December 1872 issue of the Railway Guide; Rand McNally uses a new wax engraving method, which significantly reduces the cost of printing maps. 1904 – Rand McNally’s first automobile road map, New Automobile Road Map of New York City & Vicinity, is published. 1917 – The Real Mother Goose, which became one of the all-time best-selling children’s books in the United States, is published. 1923 – Rand McNally publishes the first edition of Goode’s World Atlas (named after its first editor, Dr. J. Paul Goode); it becomes the standard geography text for high schools and colleges and continues today. 1958 – Rand McNally revolutionizes the industry by becoming the first commercial mapmaker to adopt the scribing process to make maps. The ticket division produces the first pressure-sensitive railroad and airline tickets, which eliminate messy carbon copies. 1969 – The first edition of The New International Atlas is published by a historic cooperative project of an international group of mapmaking firms led by Rand McNally; the atlas includes maps utilizing the Robinson Projection, created for Rand McNally by renowned cartography professor Arthur H. Robinson. 1980 – Rand McNally acquires a small company called Transportation Data Management (TDM). TDM marries Rand McNally’s enormous map database to an electronic system for delivery of routing and mileage information to the trucking industries. 2000 – The randmcnally.com website is revamped with personalized trip planning and an enhanced online Travel Store with more than 4,500 products. 2006 – Rand McNally celebrates its 150th birthday. 2011 – Rand McNally becomes the first company to launch a GPS device designed specifically for RVers. 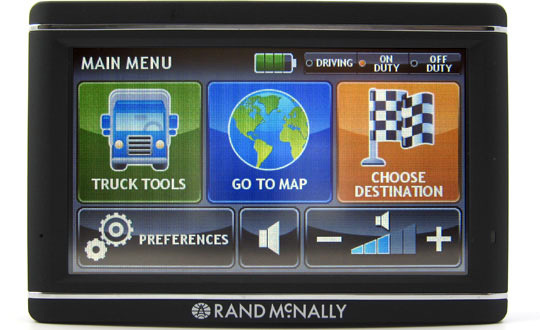 2013 – In anticipation of the coming Electronic Logging Device mandate for professional drivers, Rand McNally launches a small, low-priced HD 100 device that pairs with Rand McNally’s TND™ 720 to create an electronic logging solution.